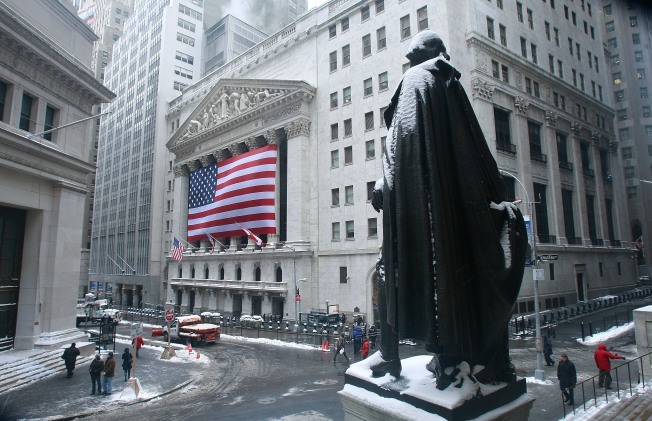 Youngsters are no longer looking at The New York Stock Exchange as their ideal destination after college. Incoming college freshman might find it much easier to land a seat in that finance lecture. The number of teens aspiring for a career in business has tanked in a recent poll of 750 students, with only seven percent saying they are eager to join Wall St. firms and major banks, according to AFP. The dramatic decline is a sign that youngsters are paying attention to the struggling economy and marks the first time in five years that "business person" hasn't ranked first as the ideal career path, pollsters Junior Achievement said. "Given the current state of the economy it may not be surprising that teens are looking away from business to fulfill their career goals and turning to careers in science and medicine," said Stephanie Bell, a spokeswoman for Junior Achievement. This year, jobs in medicine, engineering, and science were tied for first collecting 16 percent of the vote. Jobs in entertainment or acting received 11 percent of the vote while a career in sports captured nine percent. Sports and entertainment jobs are very competitive and have no guarantees, but that has not deterred youngsters to try. "Every time we have done this survey, a lot of kids have said they want to be a celebrity or sports star, and they really believe they can succeed in these very tough fields," Bell said. Junior Achievement has conducted the poll for the last nine years. Inspite of the depressing economic climate, respondents remained optimistic: 88 percent of the youngsters said they will one day land their ideal job in their desired field of choice.